As I close my nymph tying for next year’s trout season (all that remains is some latex caddis), I have experiment with and added a new hook and bead to my arsenal that I really like. It is a jig hook from Tiemco C400BL size 12 with a Tungsten Bead. 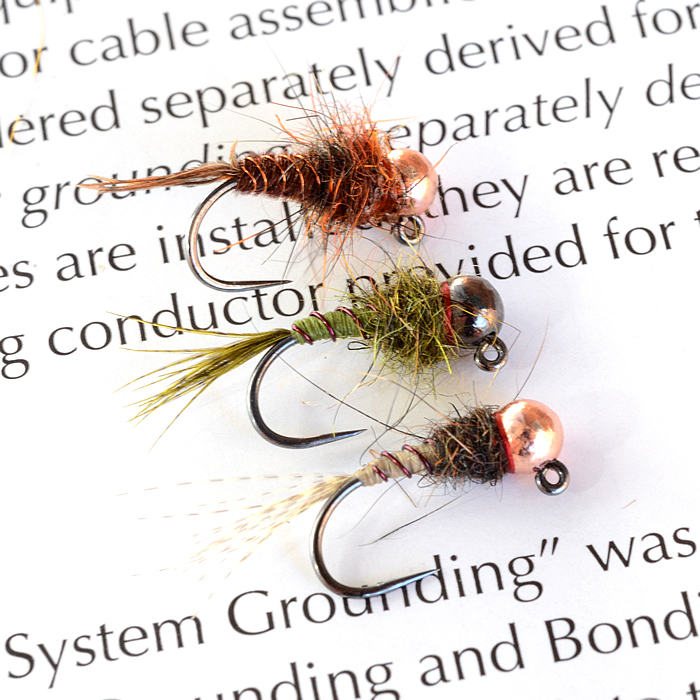 It is heavy and will be an effective nymph on the point. 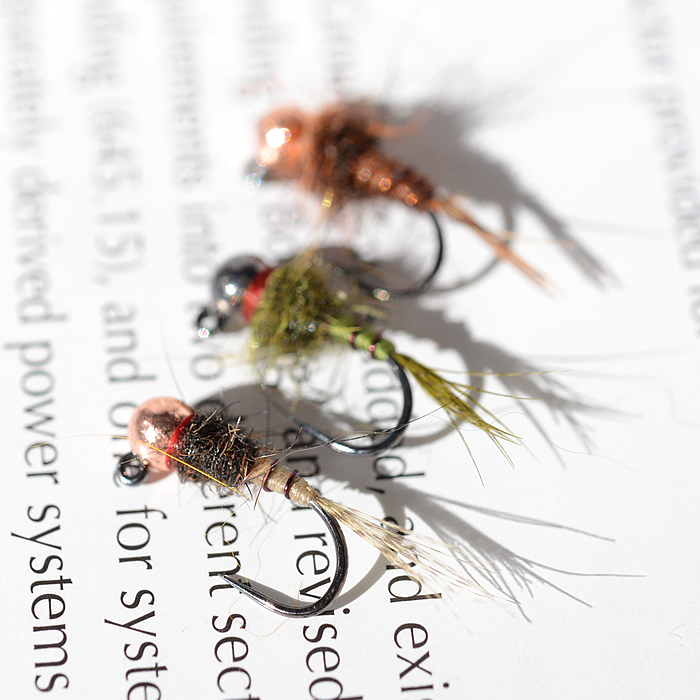 With high water and nursing a shoulder injury, I have been tying small bead-head nymphs for next year. The largest are on a TMC 3761-14 and the smallest is on a Mustad 3399-16. 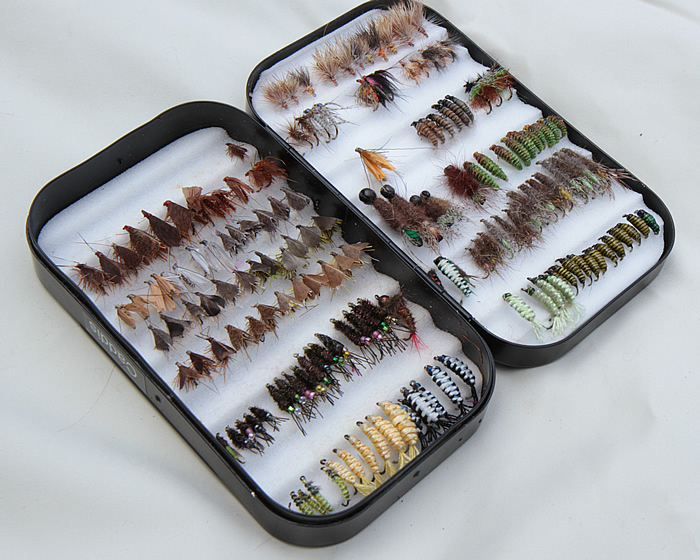 The last in the theme of whats in my Spring Fly Box. 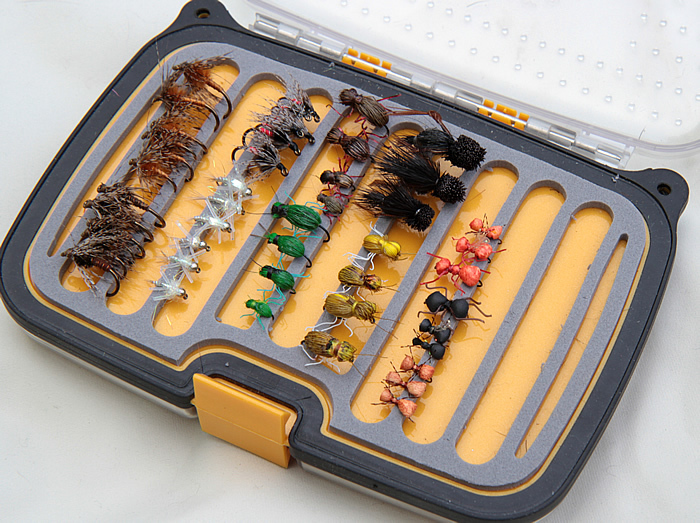 The Stimulator – used when the fish are finicky. 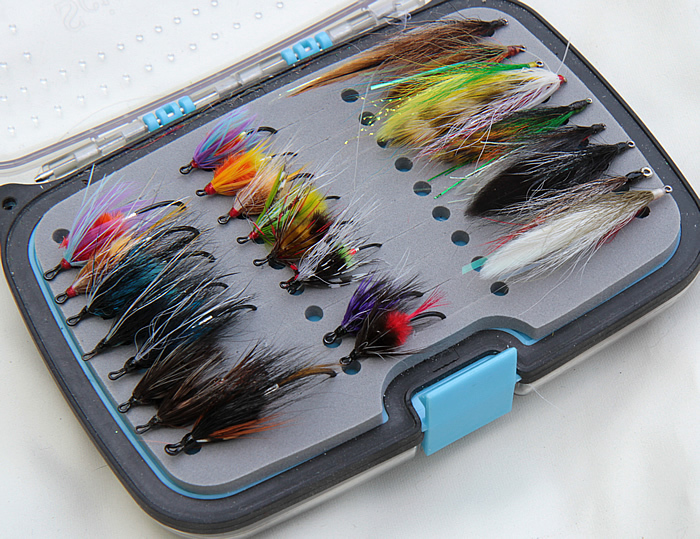 Prefer small, sizes 16 and 18, but will use a large fly with a nymph hanging below it. 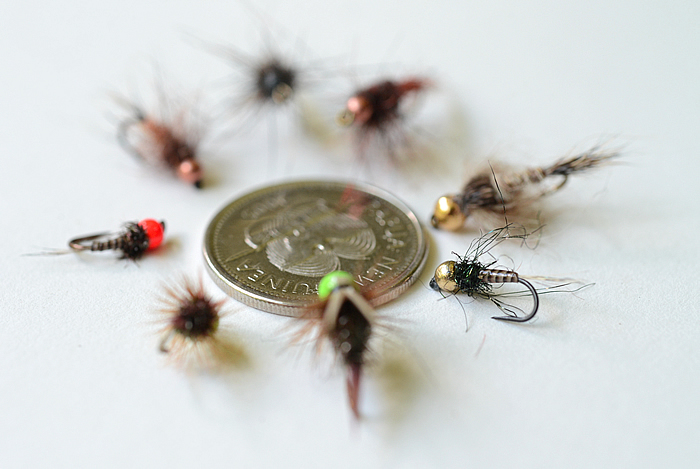 Ideally, I would have a couple of small black variants for the early stone-fly hatch, but we are usually on the water after this. 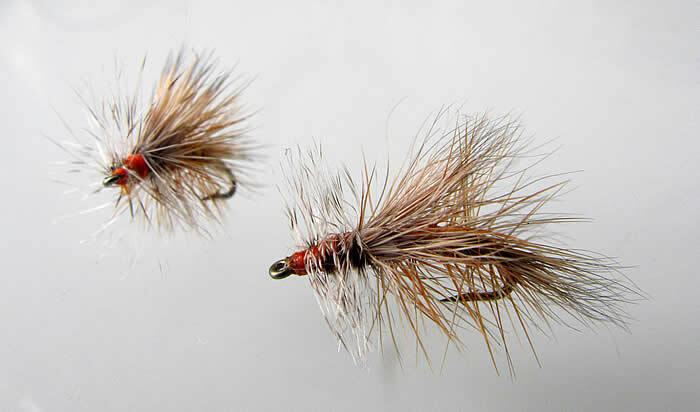 The Ausable Variants. I have several with Orange Wings to help see them in the pocket water as the sunsets and a few with Light Pink Wings (when you need to try something different). dirty light yellow (dyed by I). 5x for any nymph hanging below. 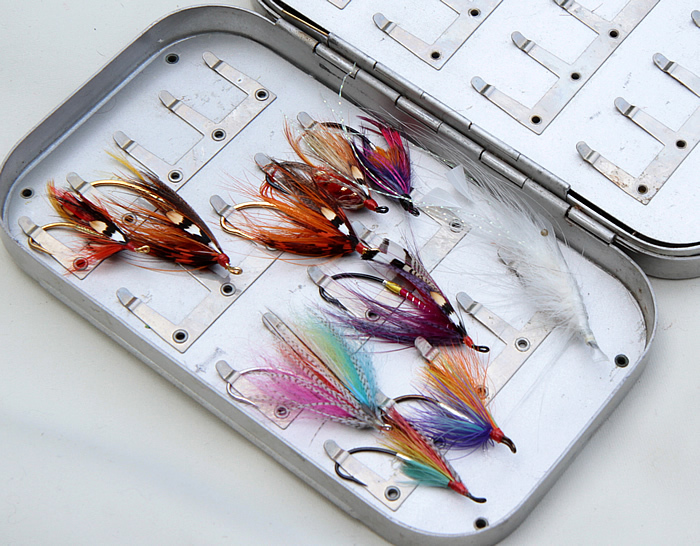 and what about the wetflies? If swinging, it maybe a simple 3-5′ section on 3-4x. But if the fly is heavy, I may up-size to 1x-2x. Judy and I enjoy fishing, Smallmouth Bass on our local river and AuSable (NY) Trout on our Spring vacation. 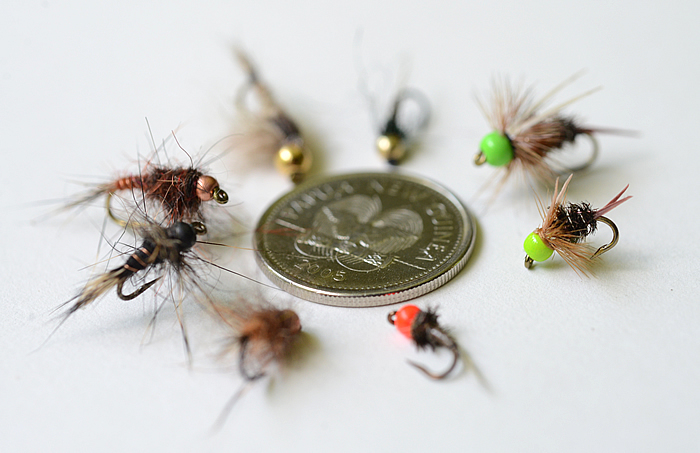 So I am adding a few of my spring trout favourite flies for our time in May. 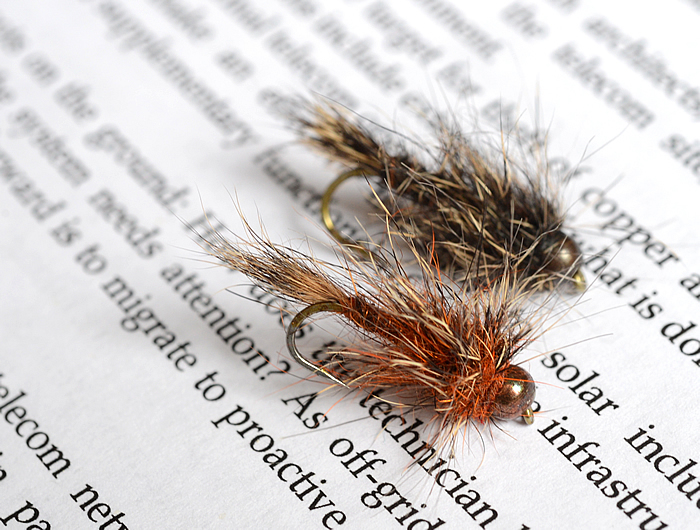 This season, I probably spend much of my time, throwing streamers, but I do enjoy pulling some fish off with dryflies. 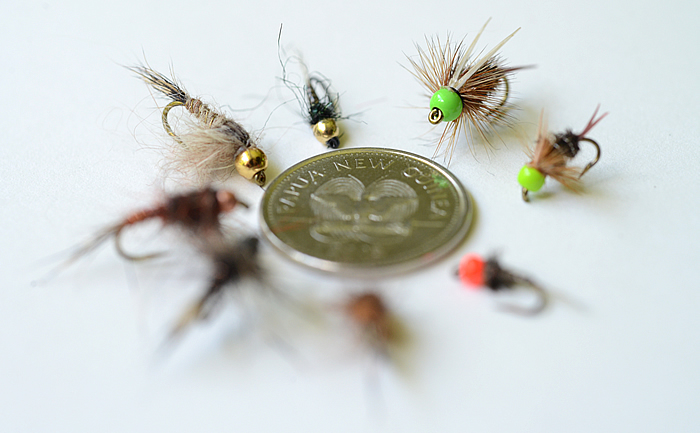 My preference are for flies in the film versus on top of the water. Suiting this purpose is the Klinkhammer, which I tie with a quill segmented body. 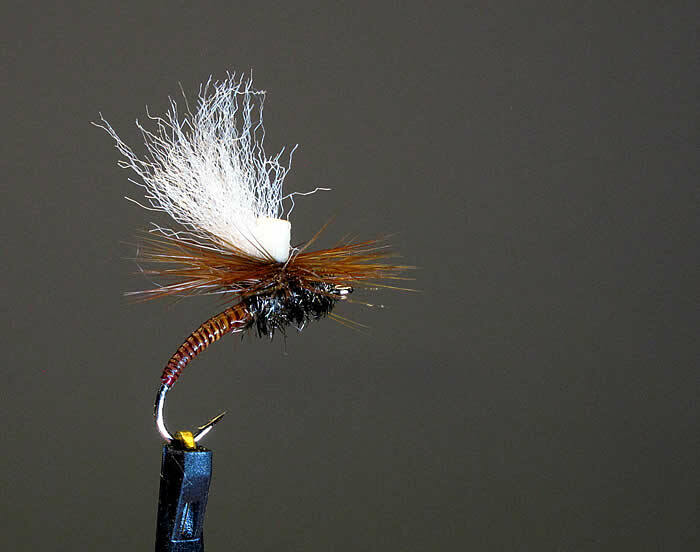 Hook: Partridge Size 16 Klinkhammer. Thread: Fine, but colour to contrast the quill body. 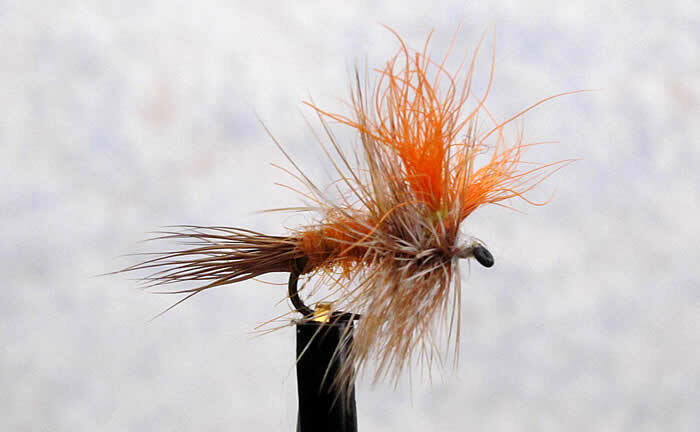 Lower Body: Varnish Quill Body – Colours: Light Cahill, Ginger (below) and Red-Brown (second down). 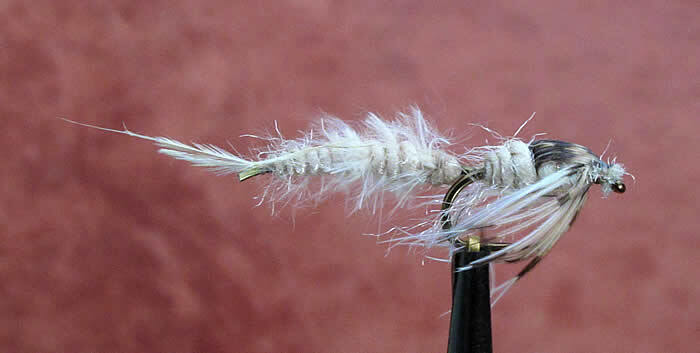 Hackle: Typically Brown, but will also use a Light Dun. Recently picked up a Herbert Miner Cape – really nice natural tones. Recommended! Upper Body: Ice Dub – Black with a Flashbou wing case. 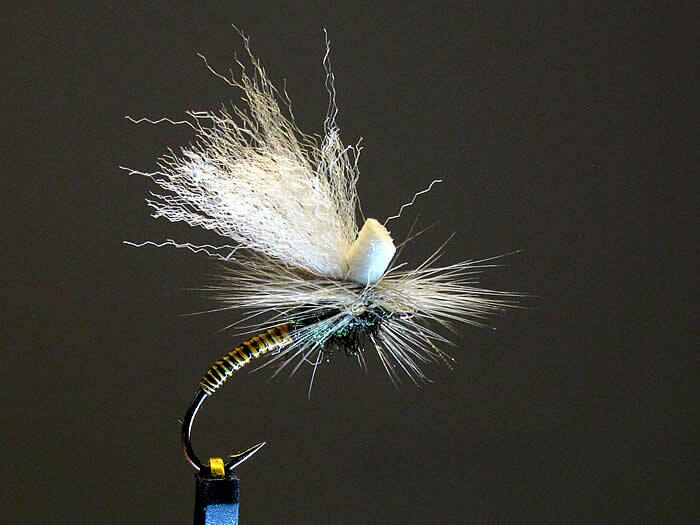 As far as tying technique. 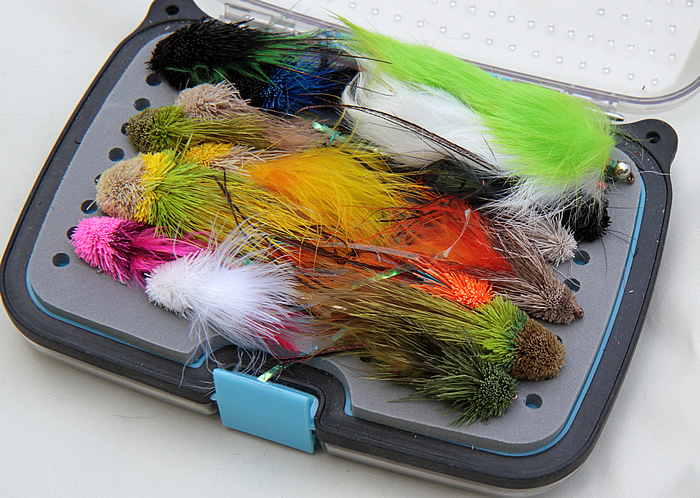 I will soak and tie the quill bodies 24 hours before I hackle-finish the fly. This allows me to apply several coats of Venards varnish and let the varnish hardened before I complete the upper body and hackle. If you are in a rush, you can use CA-glue, but I prefer the 2-3 thin coats of varnish, as it will always provide a slick and glossy finish. But the varnish does dictate, give it a minimum of 12 hours to hardened. 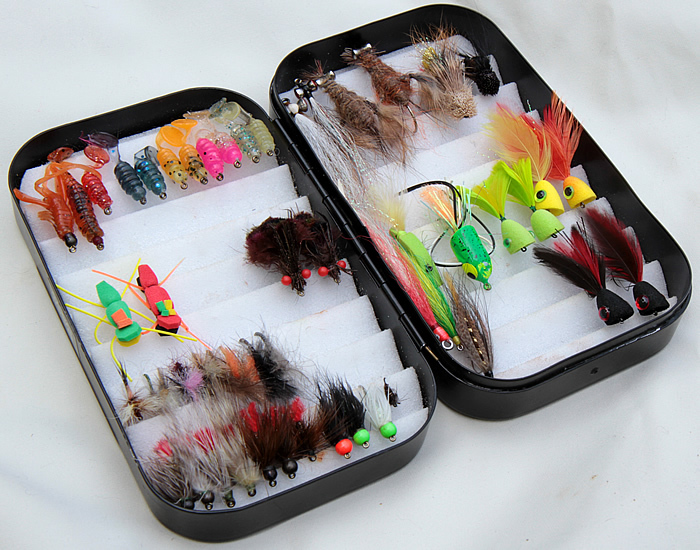 Completing a look at my fly boxes, are those flies for steelhead and bass. 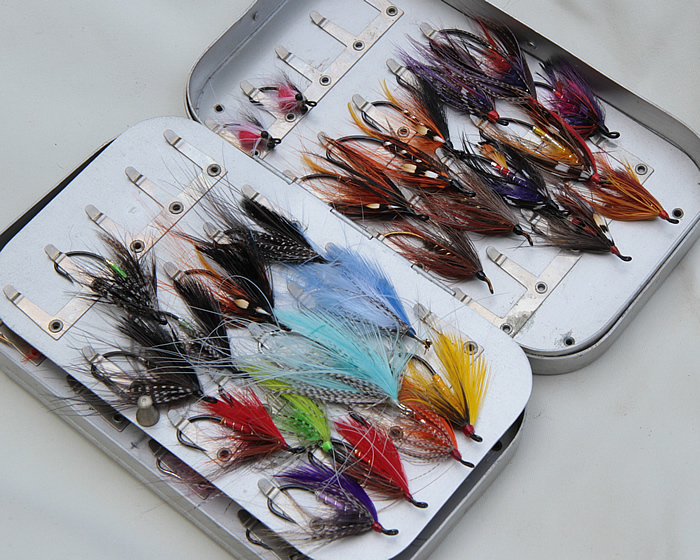 Above my traditional spey flies in an old-used banged-up Wheatley Box. There is still room to add more, and enough to get me through a season. 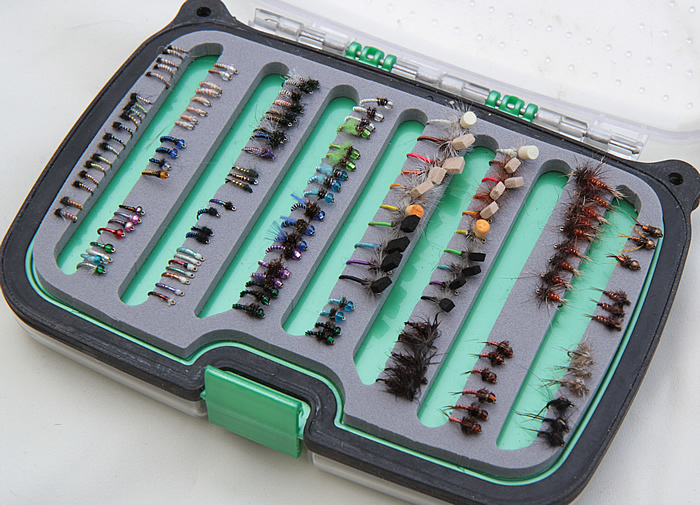 Which fly to I go to first? A Lady Caroline, either with a Bronze Mallard Wing or with a Hair-Wing Conversion. 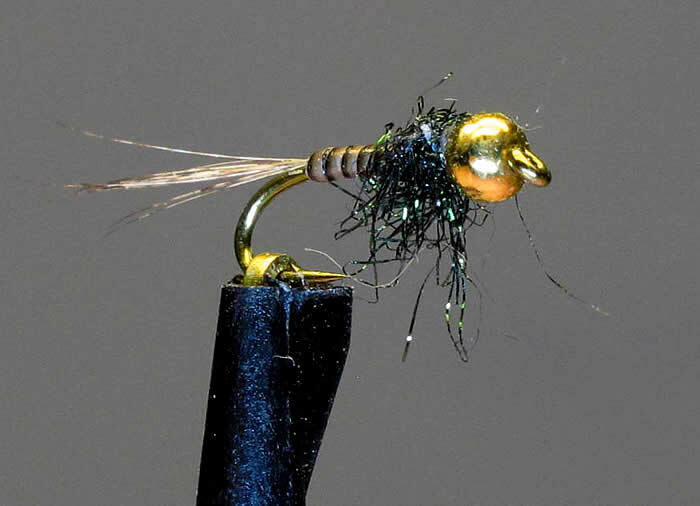 Then there are my beloved cornucopia of muddlers – another goto fly, though I usually start with black or olive. My spades and classic streamers. Like many, I started for stelhead with nymphs, and here is my aging but successful collection. And my bass box. 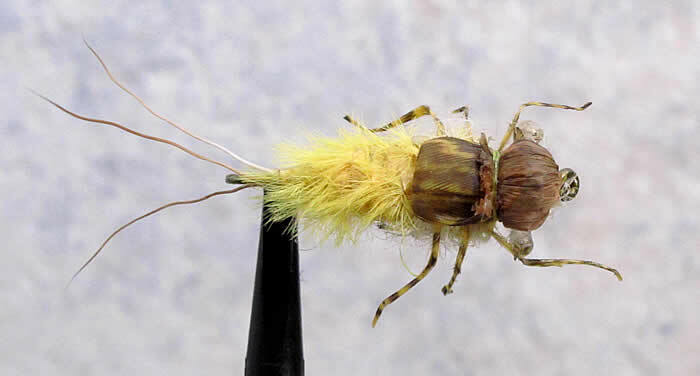 What about large bass deer-hair poppers? 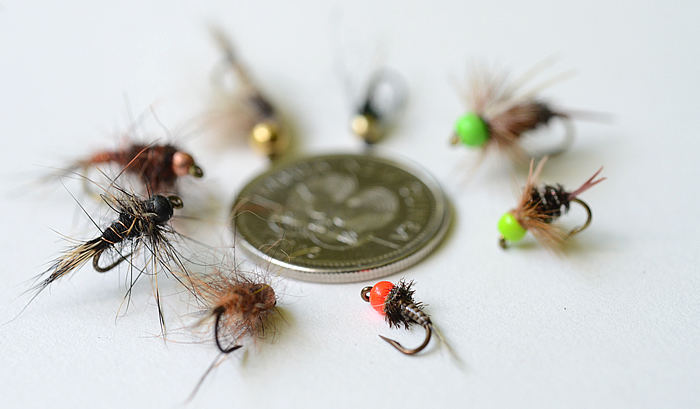 I use these large flies for dusk and late night fishing, and if I am going to stay out late, I throw a couple in my pak (either in the main compartment (A) or in the inside pocket (D2)). 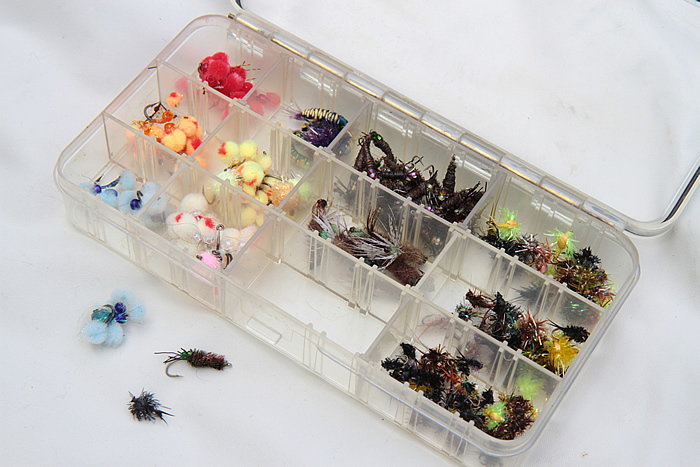 Similar, if I am going to chase some Pike, I will pull out of a few Pike flies and stuff them into the pak as needed. 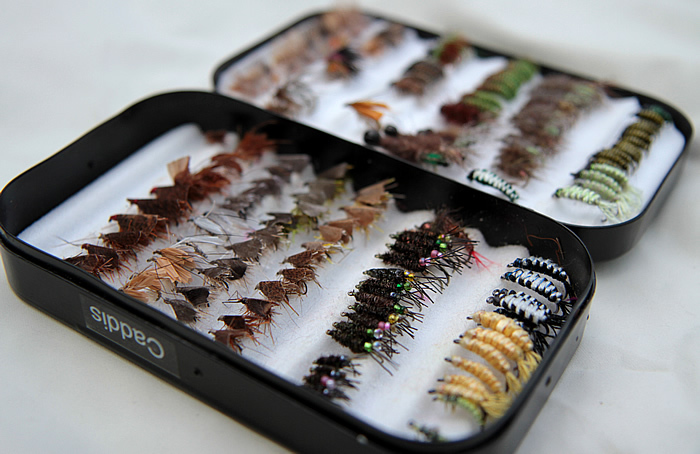 But until then, these flies are in a large Plano 3600 box. 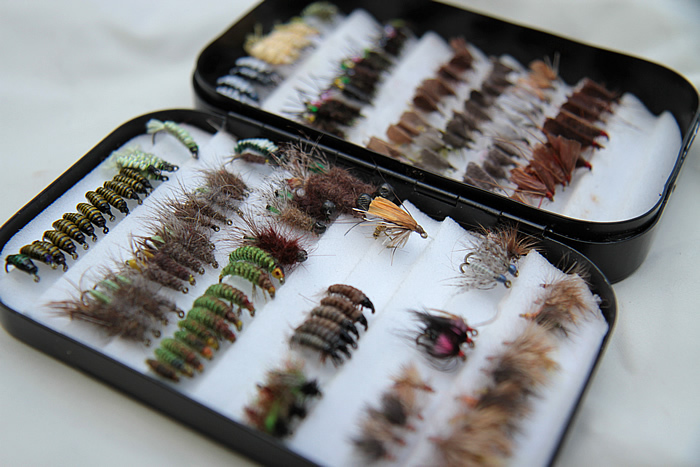 Continue with my picture essay of my fly boxes. 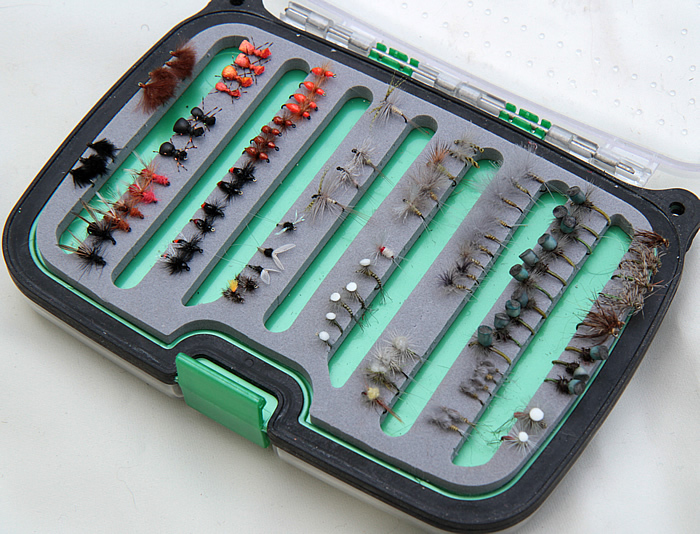 Sometimes, I will assemble a box for an advance plan trip, such as the above for the Davidson River in NC this fall. 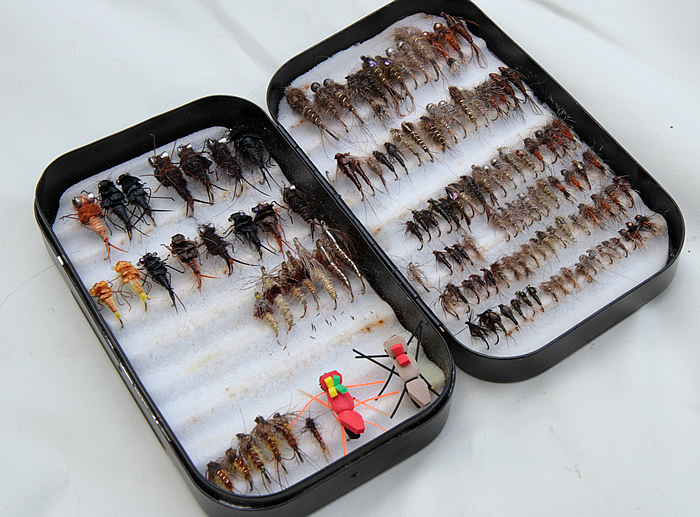 Or a box may reflect a collection that was a challenge – in this case, tying small flies that can be used in summer or on a tailwater fishery. 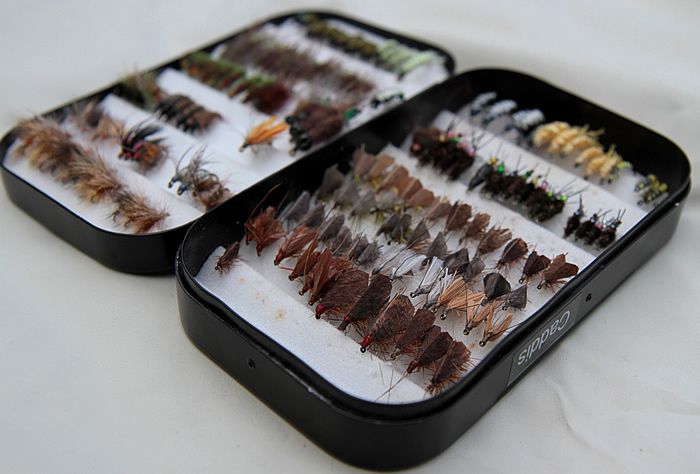 With me populating nymphs into the pack, the above box sees infrequent use, but the box below will be called upon in summer, when caddis flies are the primary insect.